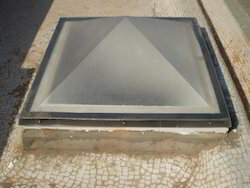 Distributor & Manufacturer of Polycarbonate Roof Pyramid. Our product range also comprises of Metal Roofing Sheet and Accessories, Metal Ceiling and Polycarbonate Roofing Sheet. 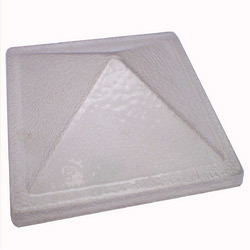 Polycarbonate Pyramid is very good option where you required natural light in square roof cut out. It is single module piece available in two verities embossed & compact clear with the size of the 2’x2’, 3'x3’ & 4'x4’. This dome is ready to fix and no need any kind of the structure. Custom size can be produce on quantity requirements. Looking for Polycarbonate Roof Pyramid ?